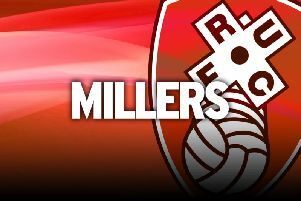 Rotherham United 1 Peterborough 1: What Warne and Evans made of nine extra minutes as Millers miss out on victory in time added on. Two men who used to share a dugout had to settle for a share of the spoils as the Good Friday battle of the play-off contenders ended in last-gasp controversy at AESSEAL New York Stadium. Rotherham United manager Paul was fitness coach when Steve Evans was leading the Millers to two successive promotions and must have thought he’d seen off his old boss as his side deservedly led deep into time added on. Referee Scott Oldham somehow found six minutes of extras - and then played even more, with the game in its 98th minute when League One’s leading scorer, Jack Marriott, restored parity for Evans’ Peterborough United. Evans went racing down the New York touchline. It wasn’t quite his famous 2014 dash at Wembley when his Rotherham team triumphed in the League One Play-off Final yet his delight and relief were plain to see. Oldham was booed off when he finally blew for time after 99 minutes, but Warne, who had seen his side take a 68th-minute lead through Caolan Lavery, chose to reflect on the quality of Rotherham’s display rather than any dubious time-keeping. “There is no drama there for me,” he said. “If the referee thinks there’s six minutes then there’s six minutes. Within that six minutes Richie Towell came off and we made a substitution. The ref is going to add something for that. “If it was the other way round, I wouldn’be complaining, so I’m not going to be ‘boo hoo’ about it. The clash pitted the fourth-placed Millers against sixth-placed Posh. When hostilities had ended, Warne’s men were still six points clear of Scunthorpe United, in fifth, while Evans’ team had slipped to seventh. Evans said: “I had a lot of late goals when I was in charge at New York. That’s because you have a desire to turn a defeat into a draw or a draw into a win. “We probably played out best football of the afternoon in added time. Marriott is quite simply the best finisher I have ever worked with. He’s absolutely stunning. Rotherham should have been a head after seven minutes when a flowing move split the Peterborough defence. 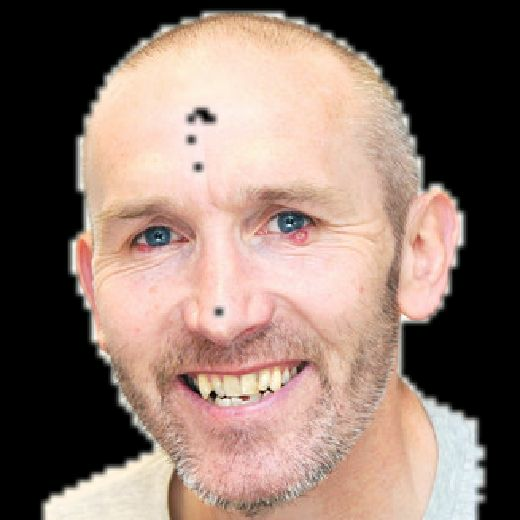 Matt Palmer sent a pass into David Ball whose deft back-heel left Anthony Forde with a clear run at goal, only for the winger to waste a golden chance by shooting at keeper Conor O’Malley. The Millers were causing the visitors plenty of problems. Joe Mattock had a shot saved, Ball was close to converting a superb Palmer cross at the back post and Semi Ajayi headed over Joe Newell’s whipped-in free-kick. Peterborough appealed for a penalty when League One’s top scorer, Jack Marriott, fell under Ajayi’s challenge, but the tackle from the Rotherham centre-half was perfect. That didn’t stop a certain someone erupting in his technical area. “First half, I just don’t believe we didn’t get a penalty,” Evans said. Marek Rodak had to save superbly from Marriott, who had been played in by an exquisite chipped pass by Maddison, six minutes before the break, then Rotherham took control in the second half. The breakthrough they merited came when Peterborough couldn’t deal with a Forde free-kick and Lavery atoned for an earlier miss by being on hand close in to force home his first goal of his Millers loan spell. The impressive Michael Smith was close to a Rotherham second seven minutes later when his header brought a flying stop from O’Malley, then Rodak matched O’Malley’s acrobatics as he kept out Marriott’s 25-yarder. Just as Rotherham looked to have repelled Peterborough’s late push for an equaliser, Marriott struck from close range as he converted Junior Morias’ low cross. “For them to nick one right at the end like that is hard to swallow,” Warne admitted. “But it doesn’t detract from my pride in my players. Afterwards, Warne and Evans, both relatively happy with their afternoon’s work, caught up in Warne’s New York office. Shared dugouts, shared spoils, shared beer. Rotherham (4-4-2): Rodak; Emmanuel, Ajayi, Vaulks, Mattock (Ihiekwe 84); Forde, Towell Williams 90+6), Palmer, Newell; Smith, Ball (Lavery 60). Subs not used: Price, Wood, Taylor, Yates. Peterborough (4-2-3-1): O’Malley; Shephard, Taylor, Tafazolli (Freestone 73), Hughes; Grant, Forrester; Maddison, Cooper (Morias 51), Lloyd (Ward 56); Marriott. Subs not used: Bond, Da Silva Lopes, Doughty, Anderson. Goals: Lavery 68 (Rotherham); Marriott 90+8 (Peterborough).